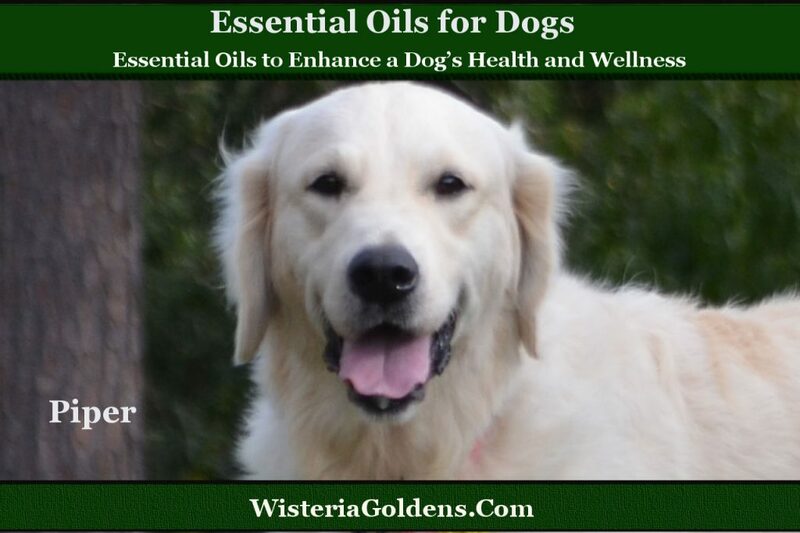 Since we started our ‘Essential Oils for Dogs' series we have been asked, by our Wisteria Goldens Families who also have cats, about this. We started investigating. 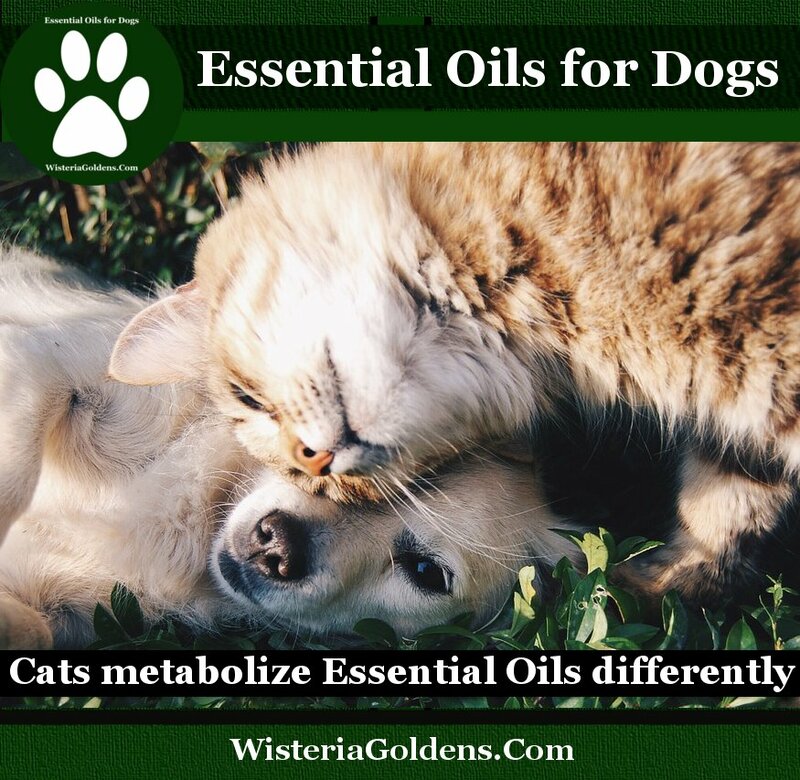 After doing some digging we discovered the online resources are conflicting, but one thing is consistent, Cats metabolize Essential Oils differently than dogs. When our research focused on that fact we discovered the potential risks. When essential oils are used with cats, without proper guidance, they can be harmful. For each new recipe, or Essential Oils Support Dogs Naturally discussion in the series, we will be adding a post link to this page. 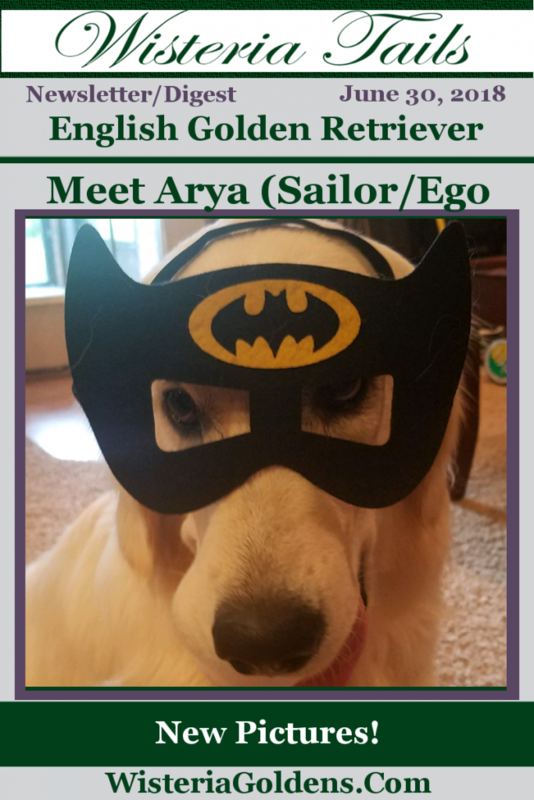 Bookmark this page as a reference guide to our Essential Oils Support Dogs Naturally and follow us on Facebook for new updates. The following is a list of Essential Oils in alphabetical order. 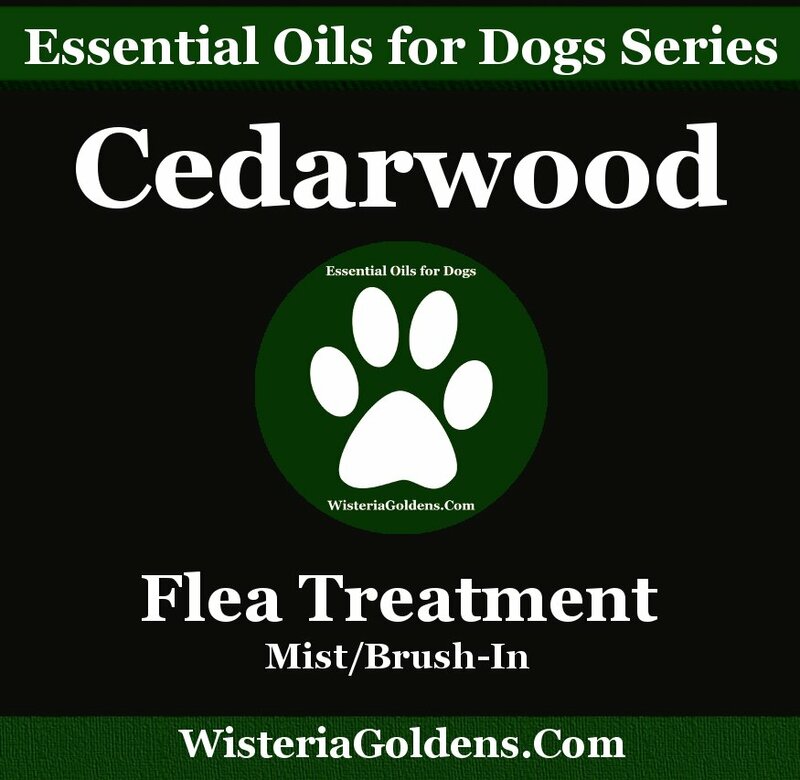 Cedarwood Oil Supports Dogs: Discover the benefits of Cedarwood's natural approach to Flea Treatment. Includes the DIY Flea Treatment recipe and recommended use. Read more. 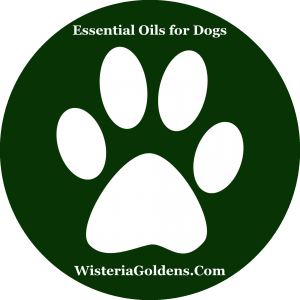 Cedarwood Essential Oil is one of our updates to the Essential Oils Support Dogs Naturally series. This treatment will repel live fleas. 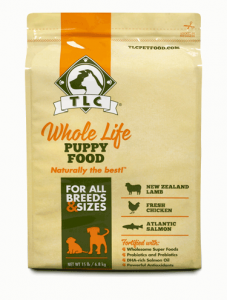 Use again in 7-10 days to ensure you have treated any new fleas which may have hatched. Mix water and essential oil together gently. Mist on your dog and brush gently to distribute evenly. Keep in a dark cool place. Swirl to remix again each time you use it (the oil and water may separate). 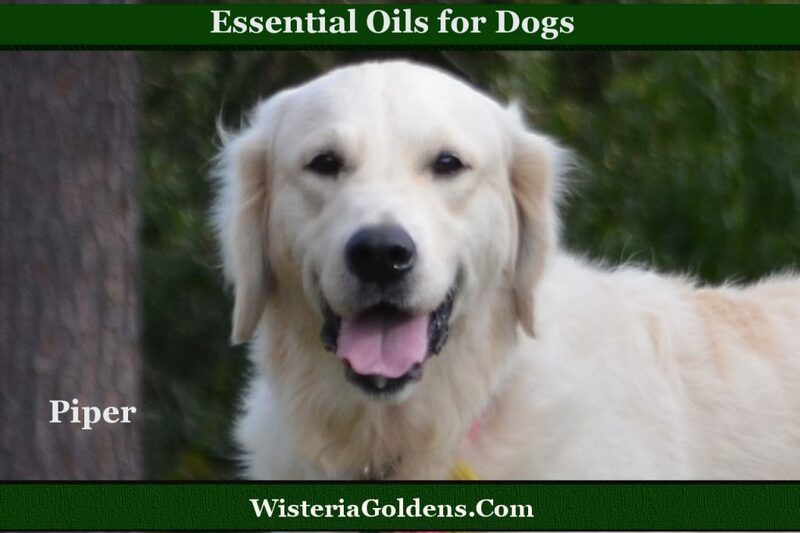 If you have been doing research to find out what Essential Oils are safe and effective for dogs this is a great article to set your mind at ease. The controversy about Essential Oil Precautions isn’t as confusing as it may seem at first glance. The primary reason we see, contributing to the mixed information, is generally because people are talking about different grades of essential oils. My favorite brand is pure, organic, and safe when used as directed. Dosing is another factor contributing to the controversy. Remember dogs are smaller than us. 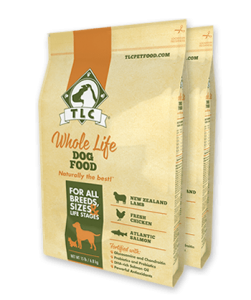 It is important to keep dose comparative to dog size and what works. To keep dosing consistent use carrier oils. Because, Nutrition Matters! and They Depend on You! 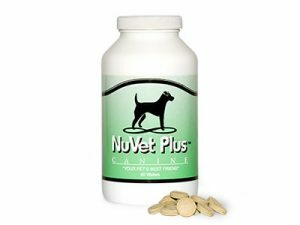 NuVet is our first choice for our dog’s health supplements. We are gathering a Featured This Month collection to help you find seasonal information as well as the most important content on our website. This page will be updated periodically to add new pages, resources, and information. Bookmark and share. We'd love to hear what information you would like showcased here. We've added a Puppy Training Guide List to this page as well! Now you can find all of our training guides in alphabetical order and it is automatically updated when we add new training guides. We are preparing for upcoming litters.